I had to do the Sirius in the new car too. They were the only company that offered a lifetime subscription. The best piece of audio equipment I’ve ever purchase. Although I rarely move off of 20 and 27, I have the options. As for the CD changer, get some alligator clips, spare wire, and a small fuse (I usually use a 3 amp or less). Hook it up and hit the eject button. If I had to drive for any length of time, I'd get Sirius. I'm a Stern fan, so that would be the deciding factor over XM. But, I drive 13 miles round-trip per day, so I'll stick with AM for now. The 80s station does the same thing here; it's got a tired rotation of the same crap. I've got all the technology I need. When it's time to replace this computer, I'll read up so I can get the snazziest thing out there. I have the 60gb IPod, definitely worth every penny. I found a neat little program that will allow you to play from your IPod database on a PC without i-Tunes, if you're ever interested. My homebase for i-Tunes is here at home but I listen to the I-Pod in the office every day. Don't you love hearing the old Mtv v-jays on The Big 80's? Alan Hunter is my favorite; he's personable and goofy. I get complaints a lot in my line of work about how much we rely on technology - when it fails, we're helpless (i.e., an office PC). I can see their point - if all of your records and correspondence are electronic, you might as well go home if it's not available. I'm confused. I though I pods can store ten thousand songs? Am I missing something here. 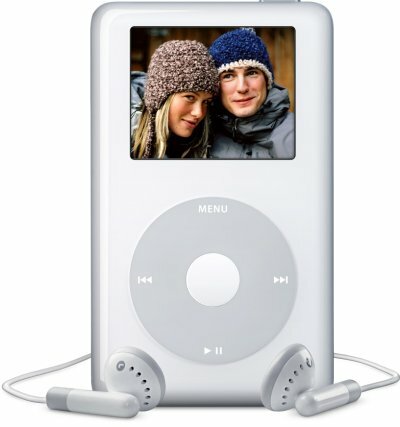 With that you should be able to download all your favorite songs off of every cd you have. I still don't have one but one day when I have time I will. Martin, you are the only other person I know that has both a Sirius and an iPod. Those two things have become more important to me than any other material item I own (other than the computer which is more than a material item in my mind). I have the 20gb Pod and it's almost full, I have over a week's worth of my favorite songs and I take it everyhere. I got one of those things with speakers that you can stick it in and even though it's small, the sound is really good. 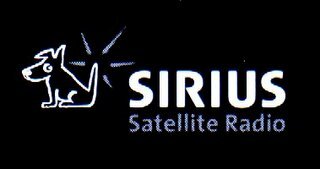 On Sirius I listen mostly to Classic Vinly, The Vault, a few NPR shows and Hair Bands. But actually I listen to all the rock stations and quite a few of the pop stations. Variety is the spice of music. Have a wonderful, wonderful New Year. I read where Apple sold something in excess of 22 million iPods this year (mine is a 4 gig Nano that Mrs. THC gave me for Christmas). Marten, I do not ready your blog often enough, as I am reminded every time I do a catch up reading. Truely intereting and insightful. Not so big on the 80s as you are, but I will tell you, I LOVE the 80's station on XM Radio. Ken and I both have XM -- him for sports, and me for no reason other than Ken is cool and generous like that. I do, however, want an iPod or MP3 player. I think that is my next technology purchase. Last year was a PC, RAM and a digi camera... this year, I believe I will turn to music. Anyway, Happy New Year and all that mushy stuff. My daughter is getting ready to buy one of those 60 gig. video Ipods. My husband has a 40 gig. Ipod and he has music, books on tape, the scriptures and other stuff on it and still has plenty of room. He has had it now for two years and the battery is starting to get weak. We will have to ship it in for a new one soon. Have fun with your new Ipod. I know TF and Bonnie love there's. mp3 is the latest and the most popular audio format that is used now. This acronym stands for MPEG layer 3. It is a compressed audio format with a compression rate of up to 12:1. The sound quality of the audio in this format is very high. The mp3 movement started out with a huge audience of music enthusiasts on the internet.